Landscapes govern our experience of everyday life. We live, work and travel through landscapes - some of us in rural landscapes, some of us in urban ones. The influence of the landscape on how we live is often taken for granted and the way people have shaped the land over time is often little understood, particularly in rural landscapes. This online course provides a basic overview of how archaeologists look at and interpret landscapes to better understand their historic development. The course introduces some of the techniques used to investigate landscapes and the information and examples given relate to Lincolnshire and focus on rural landscapes. However, the techniques and methodologies discussed are also relevant outside the boundaries of the county. 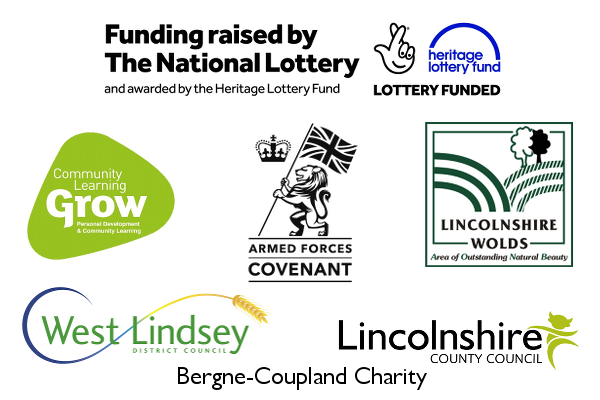 This course forms part of our 3-year, Heritage Lottery Fund supported, Layers of History project that is giving volunteers the skills and knowledge to identify landscape features, undertake archaeological surveys, carry out archival research and investigate some of the county's less well-known historic sites. We'd love you to get involved too! To deliver an introduction to the methods of understanding the landscape around us and the Layers of History contained within it. To discuss the types of features that exist in the landscape and consider their origins and meaning. To demonstrate how a historic landscape may be observed, recorded and interpreted. What can we see in the landscape?